Ever since Valve announced that it would be doing away with Steam Greenlight and replacing it with a new system called Steam Direct, there's been plenty of speculation as to what it would cost to get a game onto the new service. 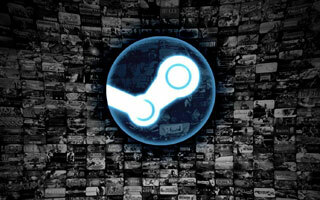 Valve had previously mentioned a range of fees anywhere from $100 all the way up to $5,000. But today, it announced that the fee for getting a game on Steam Direct is a paltry $100, and that's a bad move - both for Steam and for gamers. This is a bit of a change from Greenlight, which only required a developer to pay $100 for the first game it put up, and then subsequent titles had no fees. However, the Steam Direct fee is recoupable, so Valve would only keep it if the game failed to make $100. The prevailing wisdom seems to be that a low fee is best because it allows the most games the chance to be on Steam, and that might be true except for one thing - the problem right now is that there are already too many games on Steam. That's not to say that games shouldn't have a chance to be on Steam. Rather, it means that it's incumbent on Valve to make sure that the games that are on Steam are worthy of being there. Gamers shouldn't have to sort through hundreds of Unity asset drops, games that barely work, or those that don't work at all just to find something new to play. That's akin to heading into a gaming store to pick up a game and having to sort through a bunch of cases with broken discs in them to find what you want. There are a number of ways that this could be accomplished, but Valve appears to be opposed to every one of them. First, the company could invest in hiring some actual people whose job it is to curate the games going onto Steam. Obviously, they cannot be expected to play through every game that goes up, and you could exempt known good actors from this process, but it would reduce the number of unplayable games that make it to retail. It would also be a deterrent to those looking to exploit the store. If they know their crap is going to be tested before it can be purchased, those folks will be less likely to submit it in the first place . Second, it can make the fee itself a barrier. Yes, I know that sounds bad, but it really isn't. If the fee was $1,000, or even better $2,500, then it would force companies to make sure that their games were ready for the market. Quality would immediately get higher, because developers wouldn't be willing to take the chance that a buggy game wouldn't recoup the money they invested to get it on the store in the first place. Would that mean that some games might not make it to Steam? Possibly, but that's OK. If you have a great game, you'd have plenty of avenues open to you. You could seek out an investor or two to front you the money. If you weren't interested in that, you could put your game on other markets, including the Humble Store, itch.io, or any number of other platforms. Sales there could finance getting the game on Steam, if that's your ultimate goal. Valve says that it is working to improve discoverability on the Steam store, but anyone who's used it lately knows that no amount of discoverability is going to fix the issues with finding games. Valve's going to have to do something more drastic, and keeping the barrier to entry super low isn't helping anyone, including all of us that use Steam. It's time for Valve to make a decision about what's more important: having the most possible games on Steam, even if it's a horrible user experience, or prioritizing quality over quantity. In my opinion, it's time for the latter.